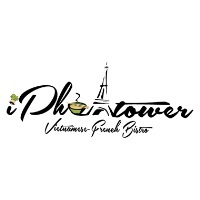 iPhotower is a great place to stop at in Kansas City, MO if you want delicious Pho, Vermicelli or Bahn Mi. Come try our Vietnamese/French fusion cuisine! It's an experience you will never forget! We're located at two locations. One right off of Independence Ave in Kansas City and a 2nd location at 3623 Broadway St Kansas City, MO. it's a great place to enjoy even better cuisine. See you soon at iPhotower!